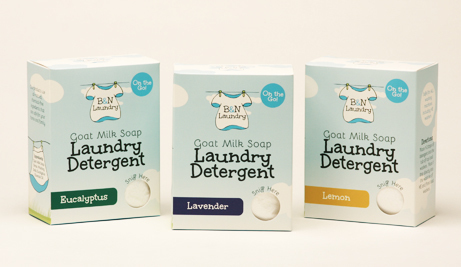 I was recently sent 3 different scented goats milk soap laundry detergent to try out along with a soap stain stick and Wool Dryer Balls from B & N Laundry. I am always interested in trying out any natural cleaning product especially from a small company. I would rather purchase from a smaller company than a big brand anyway. 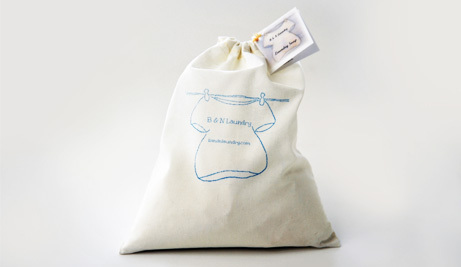 I was sent 3 naturally scented laundry detergents in lemon, eucalyptus and lavender scents. I tried out each scent on my kids clothing and loved every scent but I think my favorite is the lavender. The detergent I think cleaned just as well as any laundry soap at the market.I didn’t find it left any residue either. I tried the sofa stain stick on a ketchup stain and it got the stain out. The dryer balls I keep in my dryer for every load now and found that they are great for keeping the clothes from tangling up. I will continue using this soap because I love that it’s completely natural and they work and it’s from a small family owned company. The products are 100% free of chemicals so that is great for children with allergies. This detergent has no dyes or harsh chemicals, making it completely safe for anyone to use. Not long after the Bollin family added twin daughters to their life, Tony suffered kidney failure and had to go on dialysis. After that, Rachel made it her mission to eliminate all unnecessary chemicals from their home. She started in the laundry room. She wanted a detergent that was all natural and free of unwanted chemicals and dyes. She also knew that with one year old twins the detergent had to be effective. 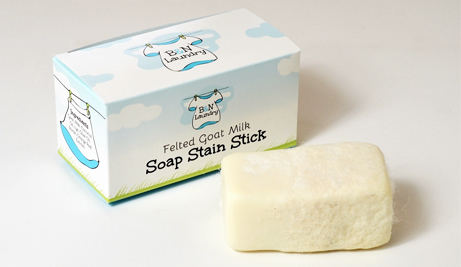 After months of trial and error, she discovered that Goat Milk Soap was an extremely effective base for Laundry Detergent. It’s very gentle on skin and makes clothes soft. From there, she developed the most luxurious and effective detergent on the market. Using essential oils to scent and act as natural cleaners, she eliminated the need for chemical fragrances. With every order of a large bag of B & N Laundry Detergent, B & N will give back .50 cents to the National Kidney Foundation!